Seems that on this day in 1829 a very mint patten was filed that has ultimately affected our lives for all time. 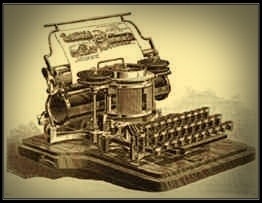 William Austin Burt invented the typographer which ultimately became the typewriter which ultimately became useless once the media device you’re reading this on was invented. However, the keyboard layout is still a mint of a design, considering we’re still using that aspect from one mint of a predecessor.